Lake Stockholm Water Damage Clean up, Our technicians are local, consistent and, IICRC certified; always on standby to guide you with all your water crisis needs. AllStates Restoration has been a New Jersey leader in water damage restoration for over 8 years, and have over 25 combine expiriance in cleaning and restoration field. We provide a 100% client satisfaction guarantee and our yellowpages score by previous customers is a 5 star rating. As soon as water damage occur in a house or business it is necessary to take action as fast as possible to eliminate the water, disinfect and clean-up the germs and eliminate humidity. 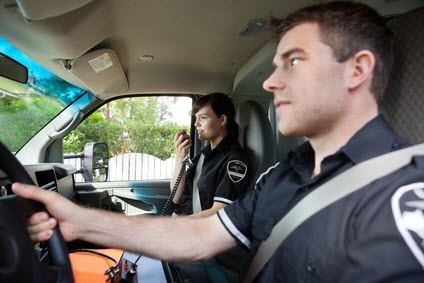 Mold, fungi and micro-organisms are known for developing in 48 to 72 hours making fast response of vital importance if the environment is to be contained in a safe manner. The professionals at AllStates Restoration are highly-trained and IICRC Certified in Water Damage Restoration and have qualified professionals standing by 24-7 to provide fast emergency flood clean-up for your residence or business in Northern NJ. CALL TODAY (973.988.1222 for an fast response to your water damage needs as well as for professional flood clean up in Lake Stockholm Sussex County (NJ). We have local IICRC certified professional standing by to help you out with professional flood clean-up and water damage repair service. Things may appear severe and hopeless now, yet, flooded basement restoration is really what AllStates Restoration actually does therefore we do this with great regard to your home and family. We provide exceedingly skilled technicians that are ready to rapidly get you and your home back to the way things used to be before the water damage. Having successfully managed 1000s of claims, AllStates Restoration makes property claims problem-free! We document the loss according to the principles demanded by your insurance carrier, including pictures and graphs to unquestionably get you your complete coverage. 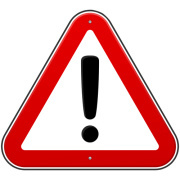 If the company you pick don’t even have familiarity at communicating your loss the appropriate way you may forfeit valued benefits that you’ll be eligible for. Oftentimes, homeowners get pressured to pick the water damage contractor offered by the insurance carrier; you should be aware that there is no legal obligation or rule to choose that specific contractor. 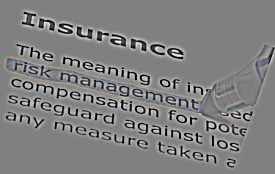 When choosing the insurance companies water damage contractor may very well not be getting your best fit simply because they work for the insurer and if limiting your claims coverage means they look good to the insurance company at saving money than they will be an advocate on their behalf over you. We are insurance claim specialists and because a certified water damage firm with years of experience we’re an advocate for you and definitely not your insurance company. We’ve got a vigilant eye for element and will not allow a stone go unchecked regarding repairing your water-damaged property. Freshwater water damage in a residence is commonly always covered by insurance assuming all the documentation is completed effectively. The sources for this type water loss may be: kitchen sink overflow, leaky water heater, pipe break, dishwasher overflow, ice maker line, washing machine, etc. Although fresh water basement water is not instantaneously harmful to human health or air-quality, if left to itself will create the same contaminants as sewer water and is capable of producing mold. When fresh water flooding takes place it is often in the upstairs finished areas of the home where ceramic tile, mortar beds, and specialty flooring can get impacted. We are able to tell what the naked eye cannot and that’s if the ceramic tile, marble tile, etc. has water trapped underneath that can destroy the floor if left to itself. We are masters at dry out this kind of materials and know once they’re to far gone and damaged and when you should be given a new floors. If you are experiencing a sewer backup water damage in Lake Stockholm there’s a real concern for indoor air safety as sewer water backups contain as much as 81 kinds of viruses. Water Damage from a sewer backup is the most hazardous water that can invade your home. Sewer water is pathogenic meaning it may be disease causing, making the cleanup of extreme importance A sewer water backup is called a category 3 water loss and is particularly the foremost health-threatening and damaging to your property. 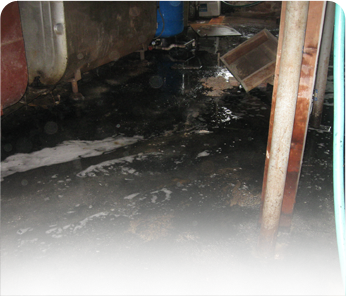 Sewer water may or may not be discolored and smell’s, yet, it is always pathogenic necessitating professional clean up. AllStates Restoration specializes in flood restoration of high-risk environments and knows how to utilize the necessary steps to protect your loved ones and property. Frequently after a heavy rainfall, homes may experience a sump pump failure that permits an uncontrolled water table and ground water can enter in through the sump well, floor joint and cracks in concrete floor. Sump water is alive with micro-organisms, bacteria, fungi, molds and dirt. The following living organisms only require a short while of time to amplify and create a very pungent odor. When our professionals arrive we utilize moisture meters that permit us to discover out what materials are wet requiring service and which materials are dry. Homeowners insurance could or could not cover this type of water damage emergency. Call AllStates Restoration and we can navigate you through the often confusing world of coverage. My Lake Stockholm basement has water damage inside it, what would I do? When a basement in Northern NJ, Lake Stockholm or anywhere has water anywhere on the floor water removal is definitely an immediate need as the longer it keeps flooded the greater amount of damage it creates. The primary action to take when dealing with a wet basement is to ensure nothing electric has contacted water; water and electricity trigger a threat towards an electrical shock or fire Without touching anything, carefully look to see if water has come into coming in contact with anything electrical and call an expert to secure the environment if it has. The next step is to try to discovered where the source for water infiltration into your home is. Managing this step is usually not to difficult and can be accomplished with a scientific approach. But if your basement has a sump-pump check the water level inside the well to see if it is higher than normal. If you have any drains in the basement check if they are holding water and or backing up. Pay attention for the sound of running water that could identify a frozen water pipe, water heater rupture or malfunctioning home appliance. If you locate flowing water right away locate the main shut off and close valve. You could need both. 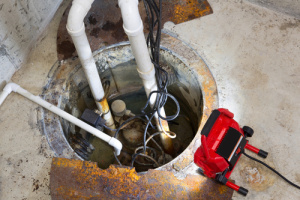 AllStates Restoration in Lake Stockholm North Jersey 07460 has a plumber on call 24-7 and is familiar with replacing the bad sump pump with a new one as well as assuring you have the correct size. 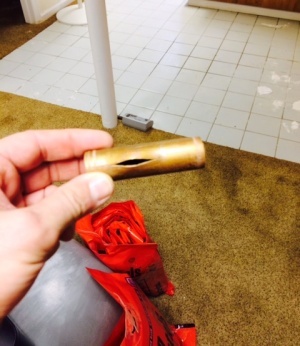 Sometimes calling a plumber first isn’t a good idea since plumbers in general are not willing to participate in an environment when there is standing water. Normally they will request the water be pump out first. If however, they are prepared, once the pump is changed you have still got a wet basement needing water damage cleanup and will now have to make a call to a water damage company. If the floor drains finally allow the water to drain from your flooded basement, you will still need clean-up, evaluation and drying out of wet materials that only specialized water damage restoration companies can provide. We get rid of water, steam clean all contaminated surface areas, sanitize with anti-microbial solution and can get rid of excessive moisture to avert smells and the risk of mold and mildew growth. Also, it is important to find out why your basement flooded to begin with and check drains for a problem, otherwise it is sure to be repeated after the next heavy rain storm. My basement is flooded and beginning to smell, just how long before I get flood damage or mold? Water continues to damage the home environment so long as it is present; the possibility of acquiring visible mold can occur in the short period of 48-72 hours. Water should be removed as soon as possible and decontamination of all surface areas should begin the first 24 hours after a flood. In Lake Stockholm, Sussex County NJ Materials like; wet carpet, carpet pad, wood, ceramic tile along with sheetrock, must be evaluated for potential mold and infrequently these items need to be removed from your home and replaced. If your home has experienced water damage and your wet carpet is smell, it is a definite sign of microbial amplification and anti-microbial specialty agents are required. Carpet and rug might be beyond being salvaged as well. Being a complete water/fire damage restoration we offer Contents Pack-Out, Storage and Cleaning services. We have designed sophisticated procedure in which we carefully recover and transport your commercial or residential contents damaged by water, fire, smoke and mold. At our state-of-the-art facility in the NJ area, we salvage, clean, restore and repair your contents. When your restoration and reconstruction job is complete, we’ll bring your recovered contents back to your property. We have crews ready 24-hour to dispatch to your property in our New Jersey, New York service area for water damage clean up, dryout and repair. Give us a call today at 732-722-5211 for a FREE inspection and estimate. We handle all water damage restoration professionally, and guarantee all of our cleaning and restoration services. To schedule Lake Stockholm Water Damage Restoration Inspection Appointment, Call (973.988.1222 or click here. We’ll help you get your damage clean and restore in Lake Stockholm. All you have to do is Make The Appointment!